WASHINGTON, D.C. – Over the past several decades, fishermen, business owners, Alaska Native organizations and environmental groups have protested a proposed open-pit copper and gold mine at the headwaters of Bristol Bay – a pristine salmon habitat. Nestled in southwest Alaska, Bristol Bay is home to the world’s largest wild salmon run. The watershed supports a teeming ecosystem of eagles, grizzlies and beluga whales. It’s also an economic engine for the Pacific Northwest. Each year, the fishery contributes thousands of seasonal fishing and processing jobs and millions of dollars in economic activity to Washington, Oregon and California, according to the University of Alaska Institute of Social and Economic Research. 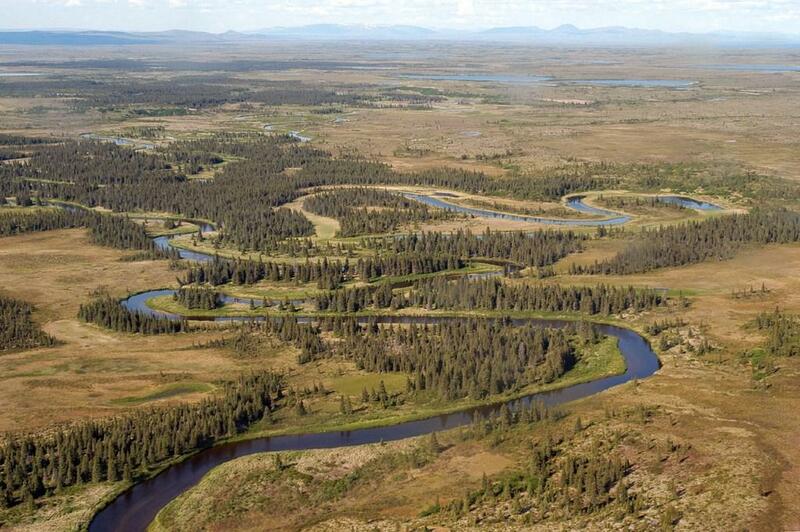 Bristol Bay is where the Pebble Limited Partnership, the company developing the mine, plans to build a 10.7-square-mile open-pit mine to dig up copper, gold, molybdenum and other minerals. The mine would require new infrastructure, including roads, a port and a 188-mile-long natural gas pipeline. “We sell Alaska seafood on the fact that it comes from pristine, crystal clear waters of Alaska. That goes for crab, salmon, pollock, clams – all of it. Now, we won’t be able to claim that anymore,” Niver said. In 2013, five West Coast senators wrote a letter to then-President Barack Obama about the economic threat of the proposed mine. Niver, the Bristol Bay fisherman, hopes that his representatives will speak out against the proposed mine. But Alaska’s congressional delegation is saying little about the project and waiting for the Army Corps to complete its process. Published: March 17, 2019, 12:10 p.m.